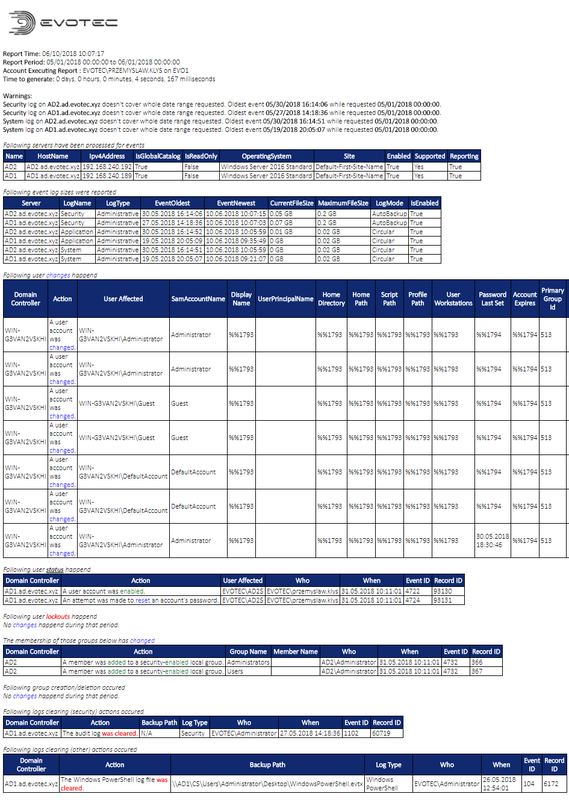 Few months after initial release a new public version of PSWinReporting 1.0 is released. While the name might not be familiar it's a actually a new name for Get-EventsLibrary.ps1. I've reworked the code multiple times, changed things around and optimized code. Since I wasn't really happy with the name and I do have larger monitoring plans for this module I've decided to rebrand it into PSWinReporting. If you don't know the module by now take a look what it's able to give you below. What the module can show me? Please notice this article contains parts of information (still useful) and may not reflect all functionalities of this module. For download, source code and so on you should refer to the dedicated PSWinReporting module page. After reading this one… of course! It contains useful information, examples and know-how. So what has changed? I'll tell you. A lot actually. Warnings were added because one of the opinions pointed out that you can actually cause the log to overwrite older entries (that is if you have small log size) therefore hiding what you did. Well this feature actually checks if the logs contain enough data to cover date range requested. 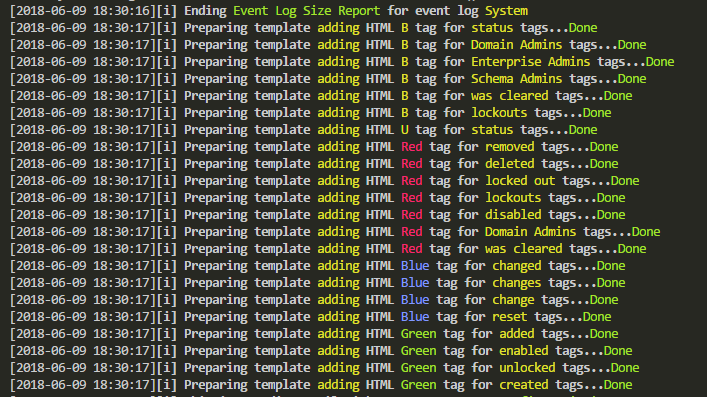 This feature gives you overview who cleaned the logs and when. While it doesn't bring back the logs back.. it does bring you an option to speak to whoever did it and ask why? In earlier versions the coloring, bolding and underling was predefined. In new version you define the words and what styling those words are supposed to have. That way you can make the report yours. 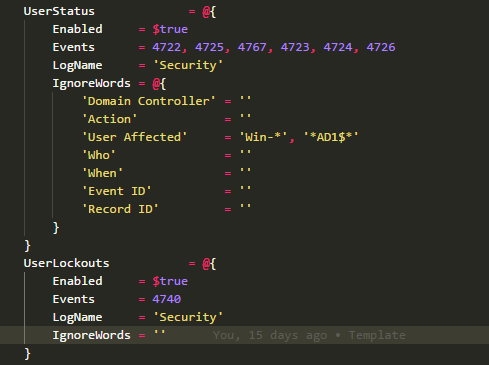 If you want to easily see Domain Admins in red, bold, and italic, you can easily do so. That feature is a must if you've lots of things flying around in your AD. For each Report you can define IgnoreWords. You have to pick for which Column Name of the report filtering should be applied to. So if you've some service account that's constantly enabling/disabling accounts you can ignore them (as long as it's approved). It's per report so if that account does deletion of groups you still get to see it in another report. Ignore filter uses wildcard comparison. In config above you can see the IgnoreWords are prepared for the UserStatus report. They are not prepared for UserLockouts. You would need to run report at least once, get column names and fill in your information. And those are just things that are visible. There has been a lot of changes behind the scenes, couple of new settings and overall code is prepared to be a bit more flexible when adding new features. You convinced me.. where do I get new version?